I would say they're a quality business, and they have great customer service. It was very convenient that they came out to my house and showed me samples of the different options that I had. I just felt the overall experience was convenient and easy. They did everything they said they would do. They showed up on time with really good people and they got job the done. It was a good experience. I really appreciate that they were willing to even come out to our home. When you live in a remote area, you're really at the mercy of whatever company will come out to your residence. Not only did they drive out to help us, but they did a great job. Duane really knew his stuff. He knows the field backwards and forwards and he helped me make a good selection. The other guy came and installed everything competently. I was totally satisfied. They were competent, knowledgeable, and easy to work with. 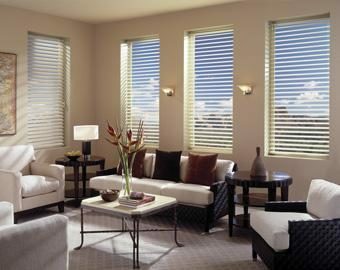 Creative Window Fashions, Inc. (CWF) is a Hunter Douglas Gallery that provides and installs window coverings for residential and commercial clients throughout the North Bay Area. CWF offers a large variety of products from leading manufacturers to ensure the best fit for every window covering application. The company’s 2,500- square-foot showroom, located in Rohnert Park, has all the latest products available, including the new PowerView Motorization line from Hunter Douglas. DIAMOND CERTIFIED RESEARCHED CAPABILITIES ON Creative Window Fashions, Inc.
Company Name: Creative Window Fashions, Inc.
DIAMOND CERTIFIED RESEARCHED ARTICLES ON Creative Window Fashions, Inc. 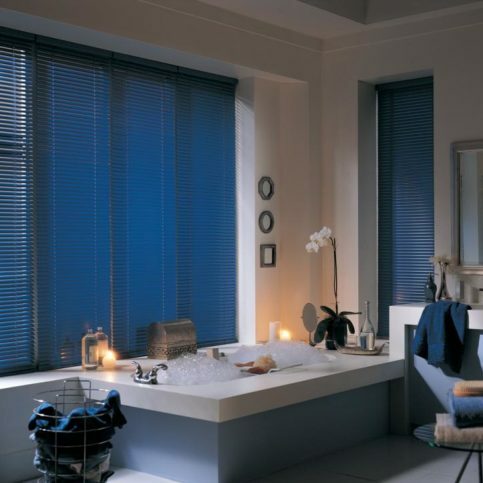 Deep blue mini blinds make a dramatic statement. 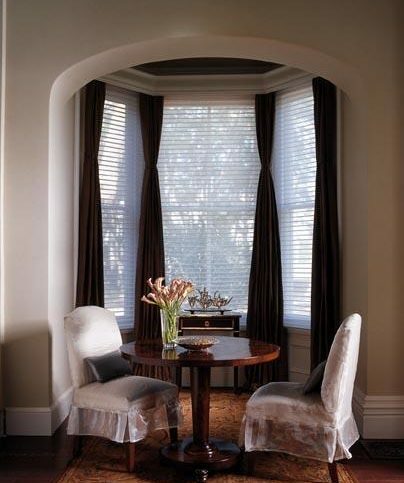 Creative Window Fashions has been selling and installing all types of window coverings for homes and businesses throughout the North Bay since 1998. 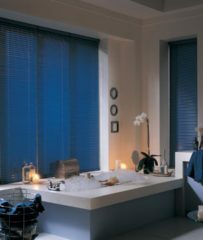 The company offers a wide variety of custom shades, blinds, shutters and sheers made by industry leaders Hunter Douglas, Kirsch, Levelor and more. It also offers numerous products from the exclusive Hunter Douglas Alustra® Collection, each of which is made of unique fabric and includes special decorative details. “From luminous sheers to elegant woven textures, the Alustra Collection offers a new standard of style found nowhere else,” adds Mr. Vos. 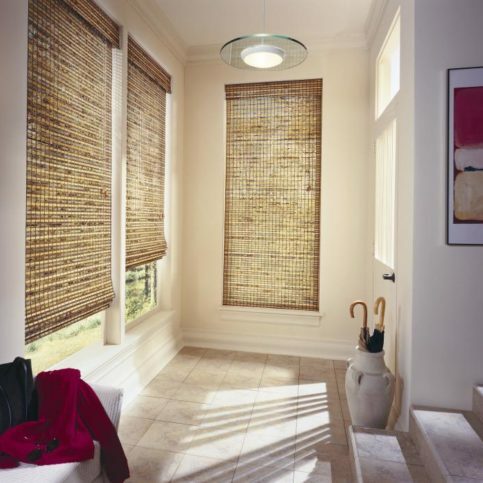 Cellular or honeycomb shades provide superior light control and are available in a variety of fabrics, from translucent to opaque, the latter of which is defined as “room darkening” or “blackout.” The control cords are located between the front and back fabric that forms the honeycomb or cell, so there are no visible holes for light to seep through. 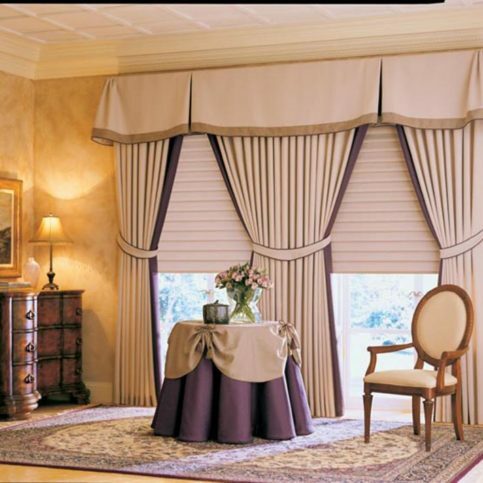 You can also raise or lower a shade with blackout fabric to increase or decrease the amount of light in a room. Getting horizontal blinds to close tightly enough to completely darken a room can be difficult, because the cotton supports (ladders) that the slats lay on keep the slats separated even when the blinds are closed. Also, most blind slats have rout holes for the control strings to pass through, which allows light to leak into the room. You can order some blinds with a “routless” or “privacy” option—they’ll be manufactured without rout holes but will still have ladders. Even though you may not be able to get a room completely dark with horizontal blinds, you’ll be able to adjust the light from very bright (completely open) to almost dark (completely closed) with the tilt control. This is an additional benefit of any louvered blind or shutter. 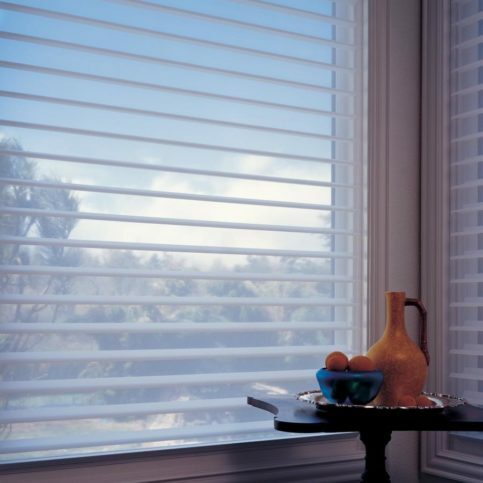 Pleated shades provide marginal light control because they have visible holes for the control strings. Even if you use opaque fabric, you’ll see light through the control holes. 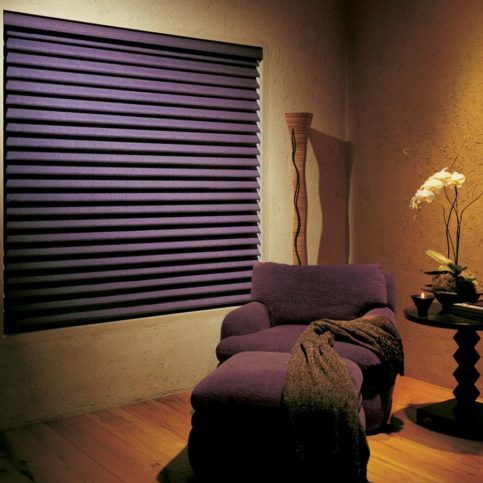 Like cellular shades, you can raise or lower a pleated shade with blackout fabric to increase or decrease the amount of light in a room. Roman shades are similar to cellular or honeycomb shades in their ability to control light and availability in a variety of fabrics, from translucent to opaque. Light is controlled by the lining of the shade, which is usually specified as blackout fabric. There are no visible holes for the control strings, and you’ll have additional control by raising or lowering the shade. 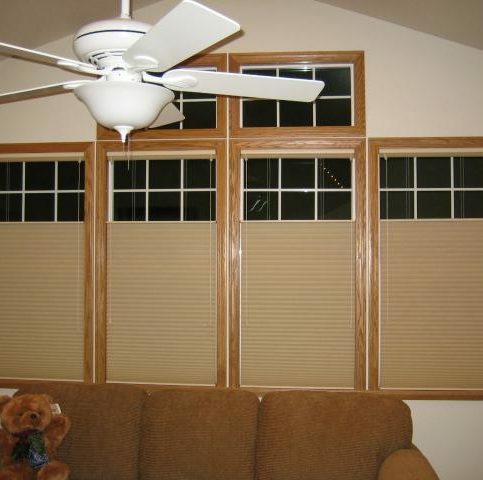 Even though shutters close tighter than horizontal blinds and don’t have rout holes, they’re still not ideal for controlling light because they have horizontal slats. Slats invite light seepage around them—it’s like having multiple “halo effects” within the same window covering. As with horizontal blinds, you can adjust the light from very bright to almost dark with the tilt control. Like horizontal blinds, vertical blinds make it difficult to contain light because of their slats. If you have a heating vent or any other air circulating around them, they can move around like individual pendulums and change the light. Because of this, vertical blinds are probably the least effective for controlling light. However, because they’re louvered, you’ll be able to adjust the light from very bright to almost dark with the tilt control. • How does your family live? • What is the purpose of each room in your house? Do any rooms have multiple purposes? • Do you need a particular room to be as dark as possible? • Do you want to be able to adjust a room’s light all along the spectrum (from light to dark)? 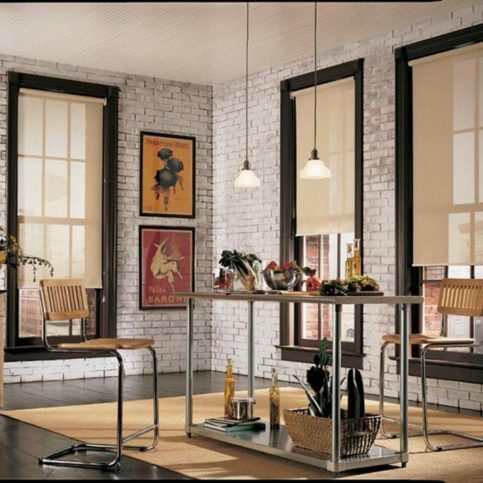 • Do you or a family member work a night shift and need darkening shades that allow for daytime sleep? • Do you have young children or grandchildren in your home? Do they take afternoon naps? • Does sunlight stream onto your TV or projection screen? Q: My room is too cold. Can a window treatment help with that? A: Yes. We can install an energy-efficient cellular shade made by Hunter Douglas that can reduce a window’s solar heat gain and loss by 50 percent. Q: Can a window treatment reduce my utility bills? A: Yes. 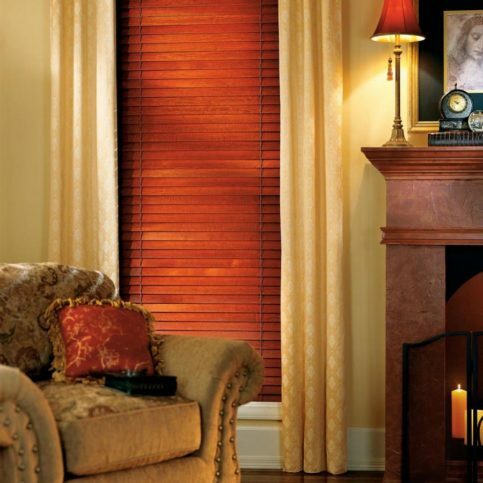 Depending on the product, a window treatment can help keep heat out in summer and in during winter. We recently installed Hunter Douglas Duette Architella cellular shades in a 3,000-square-foot house and reduced the electric bill by more than $100 per month. Q: Can a window treatment help with glare on a TV screen? A: Yes, there are a variety of products that can reduce glare. One of the most popular is the solar roll shade, which allows you to see out the window while simultaneously reducing incoming glare. Q: How long does a window covering installation usually take to complete? A: For most jobs, we’re in and out within one day. Very large installations may take a bit longer. Q: Do you provide interior design consultation services? A: Yes. Our professional design staff is trained in a wide range of decorating styles and can help you with projects of any size. 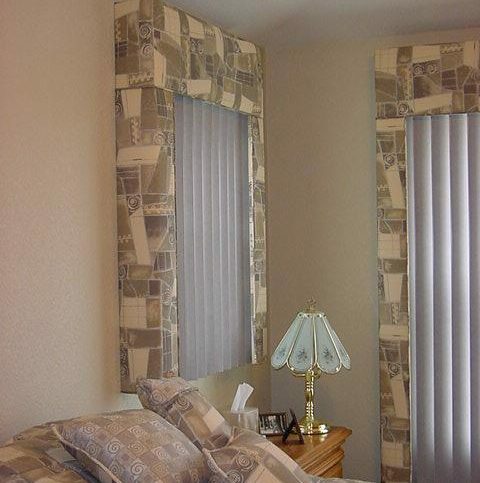 SELECTED PHOTOS FROM Creative Window Fashions, Inc. 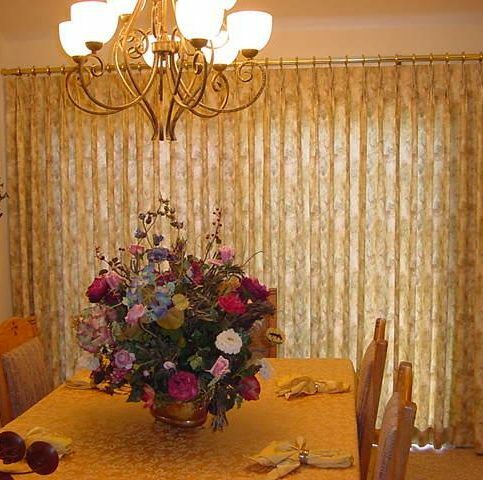 Custom draperies can make a dining room look more formal. Add class with Silhouette shade (green). 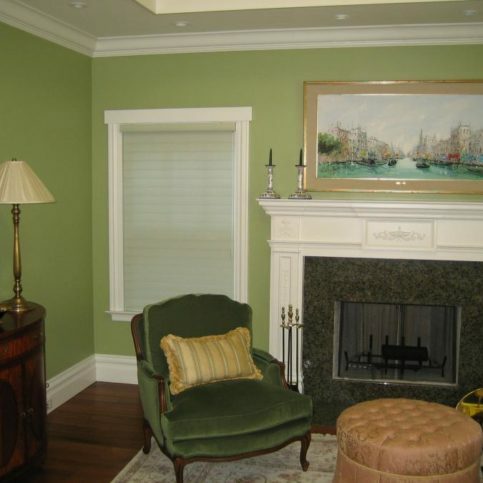 Custom shades provide a light area feeling. Create a unique look for your home. Duette Architella shades are some of the most energy-efficient shades on the market (ceiling fan). Add color to a room to give it a personalized look. 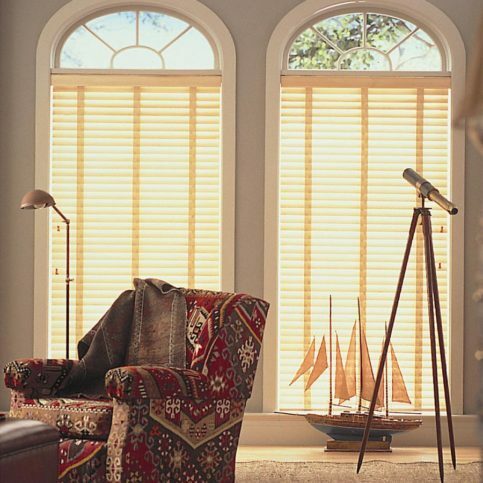 Wood blinds help control natural light. Natural wood blinds can add elegance to any room. 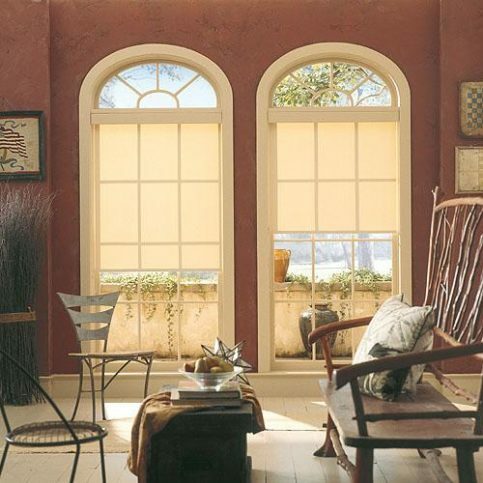 Let in light and protect furniture with shades that provide UV protection (arches). Plantation shutters can add style to any room. 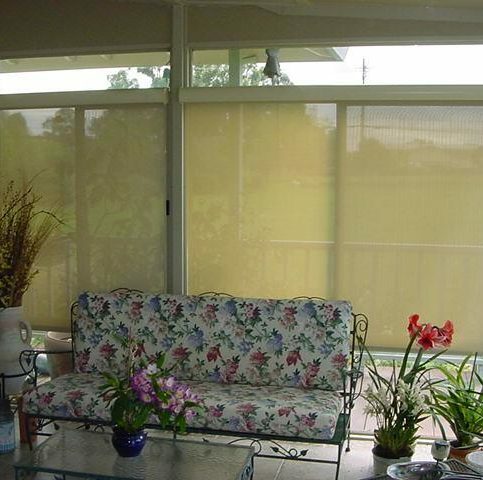 Solar roll shades can make a sunroom more usable. Woven wood shades can transform an entryway. Solar shades create a modern look. Go from sheer to total privacy with Silhouette shades. Add drapery panels to create a unique look. 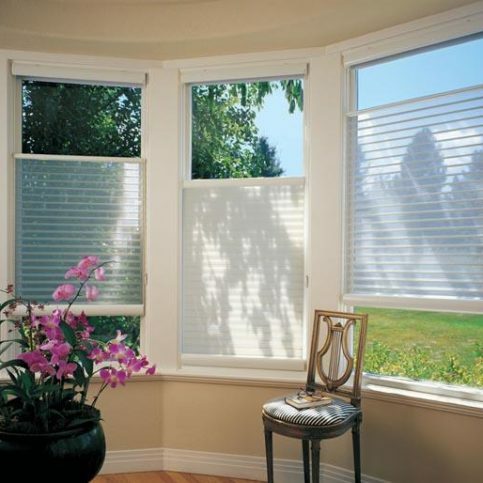 Maintain both privacy and view with top-down/bottom-up shades. 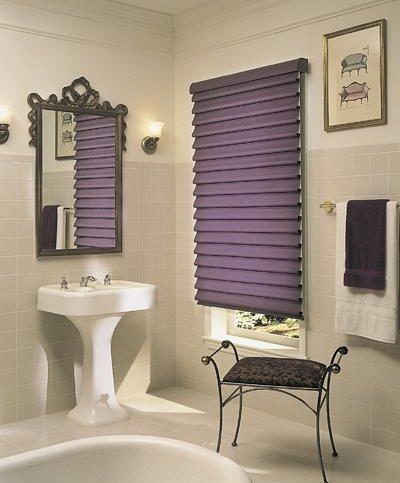 Use a deep colored shade to create an accent look (bathroom). Use a deep colored shade to create an accent look (bedroom). 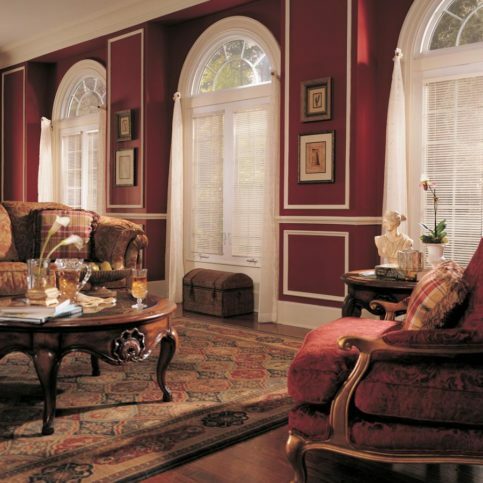 The right window treatments can transform any room. Duane Vos is CEO of Creative Window Fashions, Inc., a Diamond Certified company since 2011. He can be reached at (415) 935-0986 or by email. A: I worked at the local Dairy Queen when I was 15. A: “Way of the Peaceful Warrior” by Dan Millman. A: Apples with almond butter. A: I would go to the future so I could bring back information and tell people that we’re going to make it—we’re going to be alright. 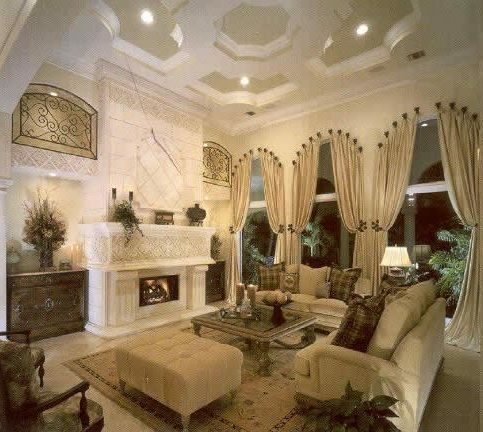 Imagine you were having your home appraised and inside you had several thousand dollars’ worth of custom draperies. In this case, the home appraiser might add $500 to your appraisal for having the windows covered. With shutters, on the other hand, the value added to the home often exceeds the cost of the shutters themselves. It’s not uncommon for $7,000 worth of faux wood or vinyl shutters to translate to $10,000 added onto a home’s appraisal. So, if you’re looking for a window treatment that will give you the most value for your investment (particularly if you plan to sell your home in the future), shutters are an ideal choice. Diamond Certified Expert Contributor, Duane Vos: Did you know plantation shutters are the only window covering product that actually adds value to your house? Plantation shutters, no matter whether they’re the real wood, unstained, or whether they’re the composite, or whether they’re the vinyl, they all add the same amount of money in value to your house. So, plantation shutters are not only great insulators, they also add value. Diamond Certified RATINGS ON Creative Window Fashions, Inc.
Creative Window Fashions, Inc. : Average 9.5 out of 10 based on 275 unique customer surveys of customer satisfaction. I would suggest them to others. Duane is an amazing consultant or designer, what ever he is called. He know the ins and out of function, style, what material is best, and does a great job. We had an issue scheduling the install because of our schedule, we reached out to Duane and he was able to get us a special time for install, which was greatly appreciated. I thought they did an amazing job. Tom and Duane are both really knowledgeable and helpful. I have had so many compliments on our new shades. I really like how they feature the new paint much more than they used to. They came out twice to make sure everything was correct for the windows, that nothing was missed, and to make sure everything was as expected. They were just very thorough, professional, and they followed through with what they said they would do. Punctual, they give good advice as to using certain products in areas of the home, they have a good product line, the quality of workmanship was good, and they mistake which was corrected immediately. I just think their knowledge of the product and what I was looking for, I appreciated their expertise and capabilities. They were accurate and punctual. I think everyone needs to consider them. They were very prompt and efficient for us. Their proposal, products, and timeline worked best for what we needed. We are very happy with everything that they did. I think the fact that they were able to get everything done within the time limit we had was key for us. I thought they were absolutely amazing, we have used them for many years, I would and have recommended them. The product quality is amazing, if anything goes wrong, they back the product and their work. I would recommend people use them, the guy who came on was very knowledgeable, knew what products would work best in different areas, and had a great taste of how things would look. I think the expertise was the best. I would highly recommend others use them, they have always been great. Duane is a great business owner and really cares about his customers satisfaction. They high quality of work and product. They are a good company to work with. They corrected their mistakes with speed and efficiency. I thought they were very professional and did a wonderful job on making great recommendations. They had everything down really quick, with a very high quality of service. Timely and they don't make you wait for long. We were happy with Duane, they were able to help us with our insurance claim for the products we bought, they wrote invoices so we could submit to the insurance. They have so many varieties and qualities, very helpful and they have nice, yeah we used them long ago and had to go back after the fire, before the fire, they have always been around. My wife was the one who wanted to use them after doing some research on companies in the area. We have been planning on getting all new blinds for a while now. They sent a person out within a couple of days to go over the measurements, design, and whatnot. After we placed the order, they had the installation crew out within a few weeks. 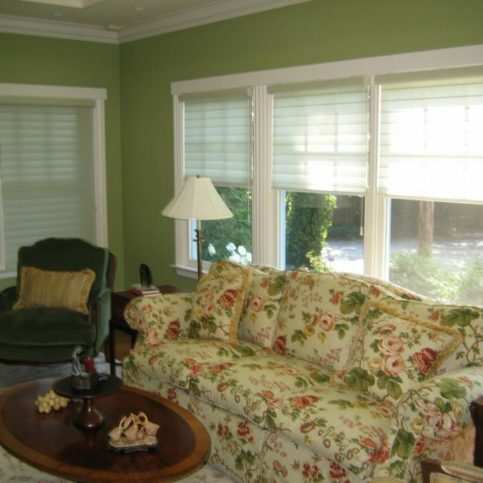 We love the new blinds and the experience that we had with Creative Window Fashions. They just made it very easy for use, to order, and to have everything installed. It was also a very smooth process. Use them. They did a great job. They were reliable and followed through with everything. They were very knowledgeable, timely, and professional. They were all of the good things you would expect when spending a few thousand dollars. I wish I remembered the mans name who had brought out the sample materials, took the measurements, and helped us figure out what would work best. They were really timely. I have to say, I thought this was going to be a very drawn-out process, but they were very timely. Duane is a great guy, runs a good operation, and knows his stuff. He has great people he works with who do good work. I think it was the overall experience as a whole, they are very efficient, very honest, and the products they sell are quality. They were very professional. They helped us decide what would work best in different parts of the house. They had things installed within weeks. I couldn't be more happy with their service. I think their products, they are really high quality. They had a great selection of products. They have very good people who helped us choose the right material based on how it was being used in the house. The installers did a great job as well. We like our new shades. Just what I said, they had a great selection of products. They had very good people who helped us choose the right material.